110 000 views on the Youtube video and more than 250 conversations on Twitter about the fight in 3 days and a very visible digital footprint on Google thanks to a number of blog posts about the subject… I keep on repeating it, despite the evidence of facts: today, information travels incredibly fast thanks to the Web. Social networks, real-time information, user generated content: All these innovations make the communicational context both exciting and dangerous. A crisis around a brand on the social web can happen very quickly. 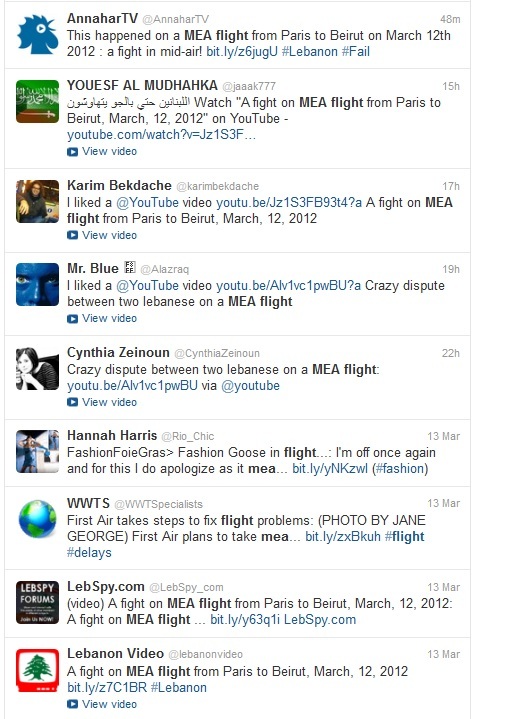 How MEA Air Liban should have reacted to all these negative messages associated to this video? So for the next crisis (even if they still might have a chance to handle this one properly), here is a list of tips and advice for MEA people on how they should handle the bad buzz on the web without worsening the situation. Build up your message carefully: Don’t have an excessive reaction, just try to be honest and transparent. Imagine the list of questions that could be brought up by this issue and the impact they can have on your internal organization and bring the appropriate answers. Accept to lose control and assume your mistakes: You can’t control every conversation. If you want people to trust you and broadcast your message, you need to trust them: listen, be inspired, let yourself go and engage. The customer will be reassured and will provide more trust in a company that agrees to take responsibility rather than a company that says nothing. Engage conversation and create relationships: This needs effort so don’t focus on talking about your brand. Ask questions, listen to peoples feedbacks and insights and try to adapt your organization accordingly. Think on the long term: Don’t expect immediate results. 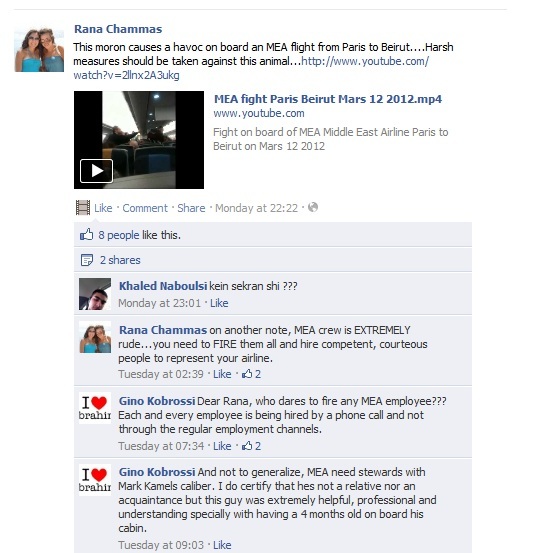 Its takes time to create a community of brand advocates who trust you especially after this type of incident that brings up the very serious question of passengers safety on board. 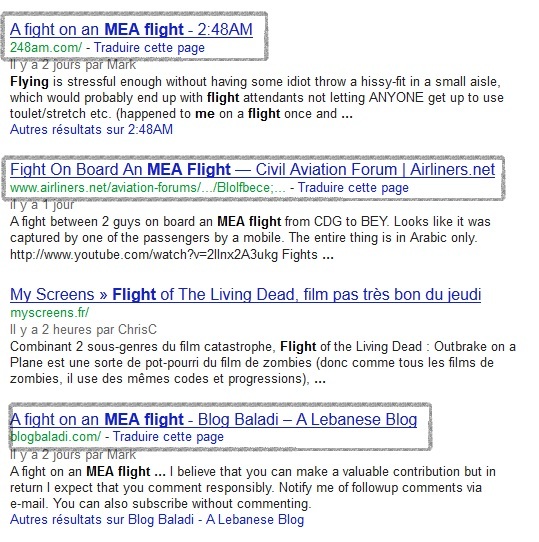 This entry was posted in Digital and Social Media, Only in Leb and tagged Bad Buzz, Fight, MEA, Middle East Airlines, Passenger, Plane, Security, Video. Bookmark the permalink.